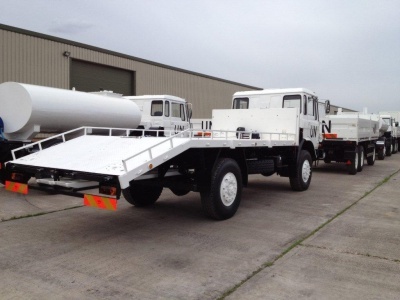 We have just completed a substantial order of trucks and trailers for the United Nations for use in peace keeping duties including Tankers, Workshop Trucks, Recovery units and 20ft Cargo Trailers. A gallery of the vehicles is shown below and highlights how we have taken ex. military vehicles and refurbished them for the purposes and use of the UN peacekeeping forces.